On Sunday mornings at Emmanuel Baptist Church in Enid, Oklahoma, we have three worship services. 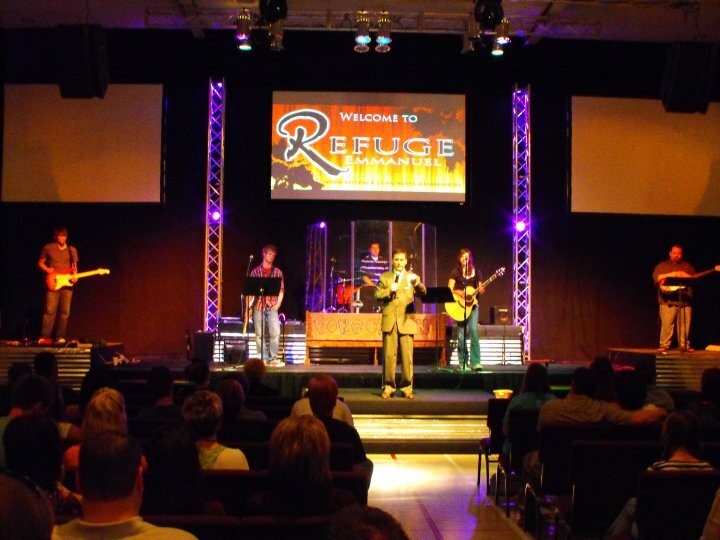 Two are in our main auditorium and the third one (Refuge) is in our multi-purpose facility (picture left). In all three respective services we have various worship styles in terms of music (either a band, orchestra and choir, ensemble, etc...) and an expositional message based on a text of Scripture. We will regularly schedule public testimonies of people whose lives have been changed by God's power, show videos that are either purchased or created by our own ministry staff which are designed to enhance our understanding of God's word, and we will spend some time in prayer for our various mission efforts around the world and in our own community. The one thing that we don't have in any of our services is what Southern Baptists traditionally called "an altar call." There are verbal invitations for people to receive Christ as Lord and Savior, as well as encouragement for those who have come to personal faith in Christ to publicly profess their trust in Him through baptism; but there are no public "altar calls." At the conclusion of the teaching of Scripture we may worship, or we may pray, or we may minister to people through both worship and prayer, but we don't have people "come forward to an altar" and make some type of "decision." The reason we do not practice this kind of Southern Baptist ritualism is because we believe altars were used in the Old Covenant for the offerings of sacrifices that were designed to visually remind the Israelites of the coming of the Messiah and what He would accomplish for God's people through His death. Churches don't have altars. Christ has come, He has died, and He has risen from the grave. We proclaim Him. We preach Christ and Him crucified and we verbally encourage people to look to Him in faith. To ask them to "walk an aisle" smacks of some kind of religious ritualism that puts a person's faith in the steps they take rather than in the sacrifice Christ made. When someone makes known to us that he/she has come to faith in Christ, then we encourage them to tell others of their faith through being baptized in a public forum. Last Sunday night we had a baptismal service in the backyard pool of a man who has just recently begun attending our church. The lot was very large and we had a large number of people come out for the fellowship and celebration service. We brought in a public address system and those who were baptized wrote out their personal testimonies to be read prior to their baptism. My wife told me that the testimonies she heard Sunday night were some of the most gripping, most powerful statements of what it means to have a life transformed by the power of Christ that she has ever heard. I think her opinion was echoed by some of the lost people who were there to observe their loved ones being baptized . They heard what Christ had done in the life of their loved one, and were moved by their testimonies. A husband heard his wife''s words and knew he needed Christ as well. A grandfather heard his grandson's testimony and wept. Our church members were deeply moved as they heard testimony after testimony from former drug addicts, alcoholics, adulterers, etc... who shared how they came to faith in Christ through the love and kindness of Emmanuel's church members who had invited them to worship with them on Sunday, and then modeled Christianity for them throughout the week. Some baptized that night had been believers for a few weeks, others for a few months, and a couple had been believers for over a year. Emmanuel will have another baptismal service in September at our local lake. At various times we will observe a believer being baptized in one of our three Sunday morning worship services. During the past five years we have baptized nearly 500 people who have come to faith in Jesus Christ. But all of them have come to faith in Christ through various ways and by diverse means. Were you to ask any of them about their conversion, they would tell you a unique, gripping story of God's grace. None of them would ever say, "I walked the aisle to the altar." They don't know what that means. They know Christ, they know what it means to believe in Him, and they know what it means to publicly profess their faith in him through baptism. I sometimes wonder if we Southern Baptists lose sight that God graces and converts sinner in unique and various ways because we have substituted our southern cookie cutter church rituals for relational Biblical Christianity. I'm not necessarily saying that having an "altar call" is wrong. I am saying real Christianity is best measured by changed lives. Causing people to trust in a walk down an aisle to "an altar" is dangerously close to creating an idol out of a church ritual. We prefer to trust the Chief Shepherd and watch Him call His people by name in His time. The Holy Spirit managed to bring millions of people to faith in Christ for 1,800 years before the altar call was invented. He hasn't changed. Why do write this as if it NOT something Southern Baptist do? I know many SBC churches doing this and more. I think you maybe diminish the testimony of what you are sharing by making it a JAB piece. The picture of what you guys are experiences do not need this other junk thrown in it. Celebrate and know that many others are also doing the same. I, too, go to a church which doesn't have a formal "altar call." The Gospel is clearly presented, along with a non-manipulative plea to repent, during the message. The believers present are reminded of God's grace each Sunday by taking the Lord's Supper. Unbelievers, again, are warned not to take the bread or cup, but are urged to repent and believe. Amen, and amen. Thanks for this. I for years worshipped in baptist churches, and the "invitation" was something that drove me crazy. It's almost like skins on the wall: "Had 7 come forward yesterday", when the unspoken truth is that most if not all will be out of church shortly and not persevere. As Jesus said, the holy spirit like the wind blows where it listeth, and men are born again where God pleases. Jesus said make disciples, not converts. That is God's work. Let's do it every imaginable, God-honoring way we can think of until the Lord Jesus comes, that's what I say! "I'm not necessarily saying that having an "altar call" is wrong." I see nothing at all wrong with your local church's approach and methodology. I for one teach that Baptism IS THE BIBLICAL PROFESSION OF FAITH. However, we at FBC Garfield still believe in a time of ministry and public profession and prayer called the invitation. I see nothing in your approach and model that is unbiblical and in fact believe it to be perfectly biblical. I also believe the same can be said for a public invitation. While we have an invitation time, I think the invitation has some problems. *It becomes sort of a scorecard for the service - how many people came forward today? No one came? Oh, I guess the day was a failure. *It also tends to focus the service on a few people who need to "make a decision" instead of on everyone in attendance who needs to respond to the Word. I don't have a problem with invitations if done right - a simple call to respond to the gospel. But I think they can have some side-effects that are not helpful. I realize after rereading my post that it sure could look like I was "jabbing" those SBC churches that have altar calls. That was not my intention. Sometimes I do not pick the best choice of words. However, I do believe that some manipulative "altar calls" that I've observed have no place in the kingdom. You told me once not to make you my hero because man is not infallible. I didn’t know how good that advice was until this post. I like the idea of the testimony being read of the one being baptized, but to refer to our church alters today symbolizing the alters used at one time to kill animals, is in my opinion, crazy. I for one can tell you that I’m the result of a “cookie cutter church ritual”. And I believe many of the thousands that ‘walked the isle’ under Billy Graham’s preaching could tell you the same thing. Can you prove if your church had an alter call, there would not have been a thousand saved? Don't know that this means anything other than an interesting observation. I attended the Mormon church as a teenager. My father, stepmother and brother joined the church, I didn't want anything to do with God of any fashion. After witnessing to my brother and sister in law for some 15 years, they separated and my sister in law left the Mormon church. She attended Church with me for a month and after the first service was critical as to why we didn't do church like a Baptist is supposed to. The first was that we don't do alter calls and the second is that we didn't use the king James. I found it interesting that those two items are what stuck in her mind, Not what she just heard from the message. You are going to makee some SBC evangelists very unhappy!! You are not a friend of COSBE (?) with comments like this!! I enjoyed reading this, Wade. While we do have an altar call at First Baptist of Sebring, Florida on Sundays, I can certainly understand your point of view here. It makes good sense, and it is exciting to hear about people coming to a saving faith in Christ. And no, I did not think you were jabbing churches who still do have alter calls. You didn't come across in that way to me at all. 1. Is public confession a necessary requirement for salvation? And what Scripture(s) teach it? 2. Re. : Romans 10:9-10 is it about public confession salvation? How does a person rededicate their life to Christ in your church, or do you believe this is needed? Many youth camps record the number of rededications as well as those saved. Is a ‘confessional booth’ set up in the pastor’s office to keep from wasting time of the congregation? To me, the highlight of any service is seeing someone saved or rededicating their life. At one time, I believe it was ‘Northern Baptists’ that did not have an alter call. 1. The service is never seen as a ‘failure’ of no one coming forward. 3. The devil doesn’t have to say wait for another time when someone is under conviction. You are correct, but would you agree the devil’s greatest weapon is: ‘You don’t have to be saved now, you can do that later’? You ask, Can you prove if your church had an alter call, there would not have been a thousand saved? Of course not. I can't prove that 500 were saved because we don't have altar calls. That's not the point of my post. My point is that God saves people through various means and in various ways, and the only time an altar call is wrong is when people believe it is the only means through which God saves people in a church, and that without it, there is no evangelism taking place. I rejoice in the testimony of your conversion as you walked the aisle of your local church. In no way do I wish to imply that your faith--or anybody else's faith--in the work of Christ is defecient because you "walked an aisle." I am just trying to help us all remember that He who saves is Christ. I've found through some posts I've done on Facebook that people will defend what is dear to them if they think it's being attacked. I didn't see anything resembling that in this post, but many who hold the "altar call" dear, may. I've come to the conclusion it just can't be avoided. I think this post is fair, biblically balanced, and emphasizes the One who saves. It encourages me to see God at work in ways we don't expect through methods we may never considered. It's a living testimony of how God is not dependent on our man made methods, but uses His Spirit to draw people to Himself through the proclamation of His word. The proclamation is both verbal and through lives lived in obedience to God. I'm glad the mourner's bench has disappeared, but we still have a lot of baggage from the past 200 years or so of emotionalism in worship. We have an altar call at Beaverdam, but it is simply that, a call for those with needs to come forward. My point is that another church was removed from the same association for holding baptisms in a swimming pool. The church had no baptistery, and tired of "borrowing one" (holding services in another church) they used a swimming pool. The pastor was also labeled a heretic. The same accuser in both cases, by-the-way, is the same person that nominated Wyle Drake for 2nd VP! Go figure! So Wade, if for no other reason than swimming pools, welcome to the ranks of the heretical. Ah, once again I see to get a reply is to ask a stupid question like you proving something impossible. The hard ones seem to ‘fade away’. I agree God saves in various ways. My grandfather was saved in a ditch. Many people have been saved in ‘foxholes’. I was saved at home weeks after I walked the isle, but it was during the alter call the Holy Spirit convicted me I was lost. One of the most challenging aspects of witnessing for me is asking a person if they want to make a decision to follow this Jesus that I just told them about. Too often I explain the joy of knowing Christ and how God loves them and wants them to know Him as their God and then I stop. Later I want to kick myself for not asking them if they want to decide to give THEIR life to Christ right then! Fortunately, there are times when I do follow-up a testimony or Gospel presentation by asking the person, “Do you want to decide to follow Christ?” and, praise the Lord, they do! For those of us who believe that this is a conscious "decision" that one must make in order to be saved, giving an invitation to respond should be one of the most important parts of our presenting the Gospel; ask them if they want it! If you don't agree that you should offer listeners an invitation to make a decision at the conclusion of your message that's fine. I often do not give an invitation when I have the opportunity to preach. But my impression is that you're distorting the intent of those who do or at the least being critical of them. Some of us are convinced that when we present the Great News of Jesus Christ that the Holy Spirit may be leading some listeners to want to make an immediate decision to respond to the message. They want to be invited to make a commitment at that moment. God orchestrates the encounter with the Gospel by miraculously leading people to hear it from someone who He has arranged to present it. Then His Holy Spirit testifies in the heart of the lost person that the good news of forgiveness is true and available. It may be the first time they’ve ever heard that. If an invitation is a part of the Gospel presentation they are anxious to respond right then. If they are NOT offered the opportunity to make a decision they may not even know that they should and walk outside and in front of a bus! For a lost person to be able to come forward to a church representative to tell them they want to be a Jesus follower is a good process in my estimation. But I also praise God for all of those saved in your church regardless of the presentation process. I come out of a very ritualistic Roman Catholic Church. The "Altar" has a very specific connotation in that system. We must come for the Eucharist at the Altar, we must genuflect as we pass the altar. The altar was holy, the altar was IN FACT an idol. I am not worried about Southern Baptists who practice an altar call of establishing a practice that may become an idol...I am more concerned that they are adopting a pagan practice that is already an idol. Why not parade the virgins of the congregation across the platform and pick one for a ritualistic sacrifice to a god...we won't of course kill her...but hey it is a long held religious practice. But does that make it suitable for practice in the Church of Jesus Christ? I think not. To me as a former catholic, this is more than just a old covenant symbol carried over into the church (that would be bad enough)...No, this is paganism itself. My father-in-law (SBC) had the nerve to challenge my Lutheran pastor why we didn't have altar calls. My pastor is very gracious and pointed out that our whole service is an open invitation to join in the life of Christ. We have a time of open prayer near the beginning of service, and communion near the end. Communion is always presented as a picture of Christ who shed His blood for you to be reconciled, and an invitation to all who appreciate that reconciliation to come and remember the Lord with us. though we are a small church compared to Wayne's, we are growing and our conversions happen as people's lives are changed by hearing the Word and seeing God in the lives of the people they are getting to know. It is no emotional decision due to carefully orchestrated social pressure. And it is a commitment that lasts. Why don't you affirm the positive things we do as Baptists and quit trying to find something wrong around every corner. It diminishes the credibility of your blog. God saves in one way and one way only: it is faith alone in Christ alone--and not in many ways. Hope you keep it as simple as it is taught in the Bible. What you are talking abot is pre-salvation situations (as many as those who are saved), but those are not ways of salvation. The condition is one and only one: faith alone in Christ alone. And it does not even required a public confession (my take on Romans 10:9-10). I've probably been in over a couple of hundred Southern Baptist churches for worship over my life time. I am most familiar with the term "invitation". The term "altar" suggests to me a sacrificial system that was long ago obsoleted by the superior sacrifice of Christ Jesus (according to Hebrews). Of those churches, I'd say only a few did not have some kind of service-ending opportunity for response. For those of us who grew up with that--whether it was manipulative or not (and some were quite so in my opinion)--I have to admit it's strange when a worship service lacks that particular closing element. Prominent evangelists since Finney's time, most notably D.L. Moody and Billy Graham, have continued to make use of the altar call. But if Moody used Finney's method with enthusiasm, he was careful to avoid implying that a minister can "cause" salvation—whatever the methods used. "It is not our strength we want," he told his volunteer counselors. "It is not our work to make them believe. That is the work of the Spirit … I cannot convert men; I can only proclaim the Gospel." "When and why did the custom of conducting altar calls begin?" My moment of conversion to faith in Jesus Christ occurred on March 1, 1969 at the age of eight (and change) in my dad's pastoral office at FBC Lawn, Texas. The next day during the invitation in the morning service, I felt a very strong call to come forward. I was baptized March 16 with my maternal grandparents present in rather chilly water in the baptistry behind the choir (the heater wasn't working). 1. “Repent and believe.” Repent has been misinterpreted. No one is saved by feeling sorry for his sins. 3. Begging God to save you. 5. “Acknowledge Christ publicly.” This is a distortion of Rom 10:9-10 which is about cause and effect: the cause is faith; the result, as the believer matures, is to witness, to acknowledge Christ. But you’re saved only by believing in the Lord Jesus Christ, not by public confession to people. ALTAR CALL AS A FORM OF RITUAL WORK. 1. Circumcision was the favorite Jewish public confession. Altar call is the favorite Arminian confession ritual. Galatians was written to condemn this. 2. Walk the aisle to the altar for baptism: Baptism as public confession expressing to salvation. 3. 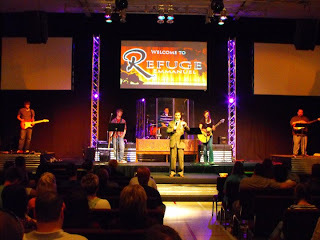 Rededication--Assurance of salvation by walk the aisle. ALTAR CALL IS A FORM OF PSYCHOLOGICAL WORK. 3. Walking down the isle. 4. Give public testimony to your faith in Christ. 5. These are psychological gimmicks and not salvation. ALTAR CALL AND SALVATION BY INVITING CHRIST INTO THE HEART. 1. We don’t invite Christ anywhere. We come to Him by believing in Him. ALTAR CALL AND SALVATION BY COMMITMENT. 1. It is putting the cart before the horse. It is for saved believer, not for unbeliever. 2. Commitment confuses the salvation work of Jesus Christ on the cross with the believer’s dedication, noted in Rom 12:1. 3. Actually, commitment is a function that occurs after salvation. 4. So salvation by commitment is salvation by works. Salvation is by faith alone in Christ alone! Not by works! Wade, by the way I am not a Calvinist. Even worse is the "vote" at the end when someone does come forward. And, better still, is the way we've tried to conceal the "vote" with, "Everyone who promises to pray for this person, etc...."
What is your thinking regarding baptism and "the local church." I've had some people very upset when college students were baptised on a mission trip but not "into" a local church. And does your church separate a decision for Christ and joining the church as a "member?" Thanks for this post. I am pretty much an anti altar call person. The intentions might be good but they always seem to degenerate into something else...tradition, numbers count, emotionalism, etc. I can remember working on a Crusade years ago and the talk was that they knew only a small percentage of those responding to the altar call were real conversions. So, why keep doing it, I wondered? Would some think they are saved because they walked all the way down there? But what is really inspiring about this are the tesitmony's. Now, don't take me wrong, I love ya, but I would MUCH rather hear a testimony than a sermon. As a kid in the SBC years ago, I remember we often had tesitmony's but not so much today. I wonder why that is so? Did I imply otherwise? If so I was in error. My point was that as it is clearly biblical to call sinners to repentance without a traditional alter call, it is not unbiblical to have a time of ministry and prayer following the message. We call it the invitation or a time of response. We clearly state that it isNOT THE ONLY TIME one can respond. The fact is, most people who come forward during a time of invitation to proclaim faith in Christ, have already made a commitment to Him through visitation or outside ministry. The time of invitation is a time to pray, to support, to heal, to profess , to celebrate, to mourn. At our church, if you come forward and say you wish to be saved - we simply pray with you and then following the service we council with you concerning your need for Christ, insuring that the decision is not simply 'alter call' emotion. Hey guys, heres my point - just as it is unfair to generalize church's that do not extend traditional invitations as unevangelistic, it is equally unfair to generalize church's that do as being manipulative. There are manipulative invitations - we should avoid that and allow the Spirit to do His work His way in His church. I do understand that Wades post was not to be accusative at all. That is appreciated. This is not an "SBC" issue, and it is a good conversation to have. Refreshing in the blogosphere here of late! I love the tri city metro! (Lawn, Ovalo, Tuscola) LOL! From Christianity Today: "What is additionally surprising is that so far very few within the community of Christian leaders have come forward in recent days to vouch for Mosab or pledge their support in his fight against deportation." CRBC Pastoral Blog [Tom Chantry] > Encountering Charles Finney. Finney popularized methods of isolating the lost within the audience and applying considerable pressure to encourage them to make a public statement of faith. His methods are still with us today in the Altar Calls of evangelicalism. I deem that Altar Call (AC) is a form of pressure--good pressure as Wade put it; but in many cases it turned manipulative and destructive. 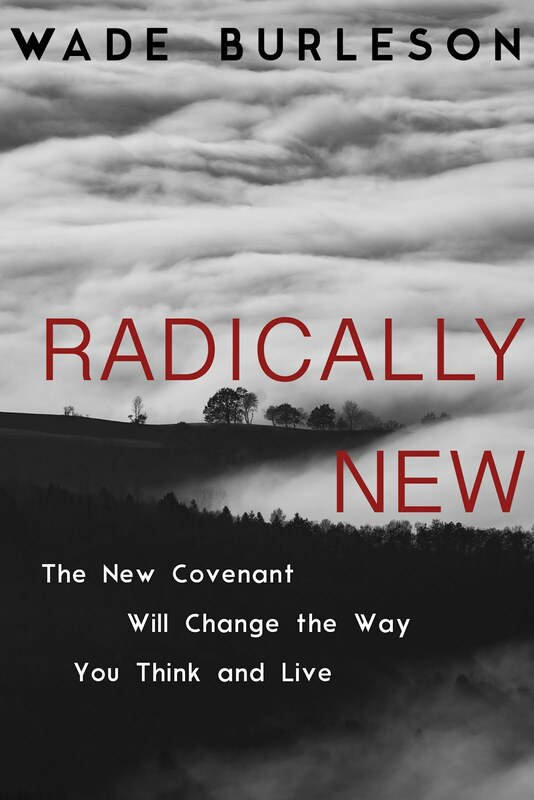 Beneath the drive to sacramentalizing AC is a troubling theology of salvation. Let me illustrate this from my favorite preacher, John Piper. I listen to pastor John more than any other preacher (online). I plan to listen to Wade's soon. “Paul foresees the possibility that some professing believers [no aisle walked believers--my own]– in the judgment of charity he calls them brothers, may go to hell… Your works [incl. aisle walking--my own] confirm that you are saved.”[Piper, “We Will All Stand Before the Judgment of God (Rom 14:10-13)]”; October 30, 2005. “Getting to heaven in the New Testament involves the use of means [AC?]. . . . Your perseverance in faith is a means of attaining heaven; it is necessary… Mutual exhortation is a means by which we…help each other persevere to heaven [e.g. testimonies-added/mine] It is not automatic…”[Piper, “Do Not Destroy the Work of God (Rom 14:14-23)]”; Nov 6, 2005. “…These are just some of the conditions that the New Testament says we must meet in order to be saved in the fullest and final sense. We must believe in Jesus and receive him and turn from our sin and obey him and humble ourselves like little children and love him more than we love our family, our possessions, or our life. This is what it means to be converted to Christ. This alone is the way of life everlasting.”[Piper, “Do Not Destroy the Work of God (Rom 14:14-23)]”; Nov 6, 2005. Note the loaded salvation package of pastor John: "We must believe in Jesus and receive him and turn from our sin and obey him and humble ourselves like little children and love him more than we love our family, our possessions, or our life. This is what it means to be converted to Christ." I am deeply concerned of the many goodies ADDED to FAITH ALONE IN CHRIST ALONE salvation! Even the 'harmless' AC has the possibility to damn souls to hell if people mistakenly think [by implication] that it is a part of salvation, and/or a condition of salvation. In pastor Piper's talks it is very clear: you don't work you are not saved. In some sermons it if faith alone in Christ alone. In others, it is works or hell. I understand a pastor's burden. But I am also sure God knows what He is about. I think AC can end up being a work salvation. I know of NO Catholic Church (Roman rite, or any other Catholic rite) that has an altar that is 'an idol'. I can also state that the Orthodox faith does not worship altars. If you want to find differences between the Roman Catholic faith and any other faith, there are PLENTY of honest and true differences. These would, of course, be reasons that a person would not accept the Catholic faith, and that is understandable. What is NOT understandable are people that knowingly teach things about the Roman Catholic Church that are NOT true. I am a practicing Roman Catholic and also taught CCD classes and taught religion in Catholic School. I can verify upon honor and conscience that an altar is NOT worshiped as an idol. If you had been Catholic, you would have known this. Best to tell the truth about other faiths. When you are found out that you have not told the truth, the rest of your witness is suspect. We have that example currently in a Seminary President at a major Christian university, who has used his phony persona as a former Jihadist in order to teach things about the Islamic religion that are misrepresentations and stereotypes. Best to tell the truth, sir. Trust me: there are plenty of things 'Roman Catholic' that Southern Baptists would not adhere to, so that you do not have to make stuff up. The truth is best told. Take my advice. All Christian people honor truth-telling. And for people to honestly find a denomination in which they have confidence and are nourished by the Word, is a good thing. You do not need to make stuff up about another Church. There is no point in it and it is not honorable to do it. The whole concept of a rededication is flawed in my opinion. What does it mean to rededicate your life to Christ? I mean, you've accepted Christ into your heart and life and somehow managed to take it back? Doesn't this somehow fly in the face of eternal security? It's been my experience that since most kids at youth camp are pretty much already saved, that the speakers tend to fashion their messages in such a way as to cause the youth to question their salvation and feel the need to rededicate their lives to Christ. Thus, this is a large reason why a youth camp will say that they have hundreds of rededications yet only a handful of true decisions to accept Christ. Ken Freeman is the best at causing young Christians to question their salvation and I have a huge problem with speakers who resort to those methods to pad their "statistics." As someone stated, it's become a scorecard. Go Jim Ned ISD Indians! (The most famous of whom was probably Colt McCoy.) I went to 11 schools during my 1st-12th grade education. Jim Ned Elementary was the second one of the 11. My first one was Hubbard Heights on W Spurgeon, southeast of Seminary Hill in Fort Worth. Wade, how can we help Mosab? Is there a contact person? I also noticed that Wario is in danger of being deported. No matter our differences on Caner, I would love to try to help him stay, too. My next post is how you can help Mosab. We are in contact with his attorney and our church has already sent certified petitions with several hundred signatures to the Federal Immigration Court requesting the U.S. government grant Mosab political asylum. It saddens me that immigration has been very political. Whose in charge determines whose let in. Book Review of Mosab's book and a related link. Completely off topic. During revival services once years ago, one of the congregations I've served had TWO altar calls per service---one at the start and one at the end. During daylight hours between the services that week, members of the church held Bible studies/prayer meetings in town---at work, at home, wherever---and led people to faith in Christ as Savior. The first altar call each night was for those new Christians; the second one followed the singing and sermon. The church baptized a lot of converts that week---and it was 'way too many years ago! God give us THOSE KINDS of altar calls, anywhere and everywhere! Wade, I am very curious of your views on Paul Washer. He totally trashes the idea of 'walking the aisle' and 'praying a prayer.' He instead preaches repentance. There are plenty of his vids on You Tube if you (or anyone else)are not familiar with his teachings. 'The shocking message' is the main one. 'Examine yourselves' is another. I would love to hear thoughts on his teachings. Wade, can you share what you know about the facts of the case the gov't has against Mosab? Or has the gov't been secretive about their concerns for security reasons ? The government's concern is that Mosab Hassan is a TRIPLE agent--a Hamas terrorist, who turns informant for Israel and the U.S., who then gains U.S. citizenship to spy for Hamas. In other words, the U.S. will only grant political asylum if they believe Mosab is NOT a terrorist. Those of us who know him are willing to vouch that he is a believer in Jesus Christ and NOT a terrorist. I will pray for God's will to be done for the sake of this young man. This conversation on giving invitations (or “altar calls” if you prefer) and hearing that you never do leads me to ask a question. Why would someone who is a strong predestinationist ever feel the need to even ask someone if they want to accept Christ whether in a personal conversation or following the delivery of a Gospel message? Seems that you would feel it to be unnecessary. Along those lines, why would a Calvinist even feel the need to share the Gospel if it is already determined that they’re saved? Why would you feel the need to share or "go"? I have asked some Calvinist friends before but they only responded that they proclaim and go because they are commanded to do so. Is that pretty much the motivation? Thanks. I agree we are commanded to go, but I also believe that God has ordained the means by which He saves sinners--the preaching of the gospel. Grace is not fatalism. Grace is personal, loving favor of God toward sinners in bringing them to faith in His Son. There is no evidence any sinner has any grace if there is no faith in Christ, and it is an honor and a pleasure to be the means through which sinners come to find their forgiveness of sins through the person and work of our Lord. Absolutely, God is sovereign in saving faith. Absolutely " For whosoever shall call upon the name of the Lord shall be saved." I evangelize because I'm told to proclaim the glories of God and to call Men to repentance. Neither Calvinists nor Arminians know who the elected or the predestinated ones are, so we must preach the Gospel to all. Thoughts of Francis Turretin > Dr. James White on Iron Sharpens Iron. The topic was the Caner scandal. The show actually starts about 2 minutes into the mp3. 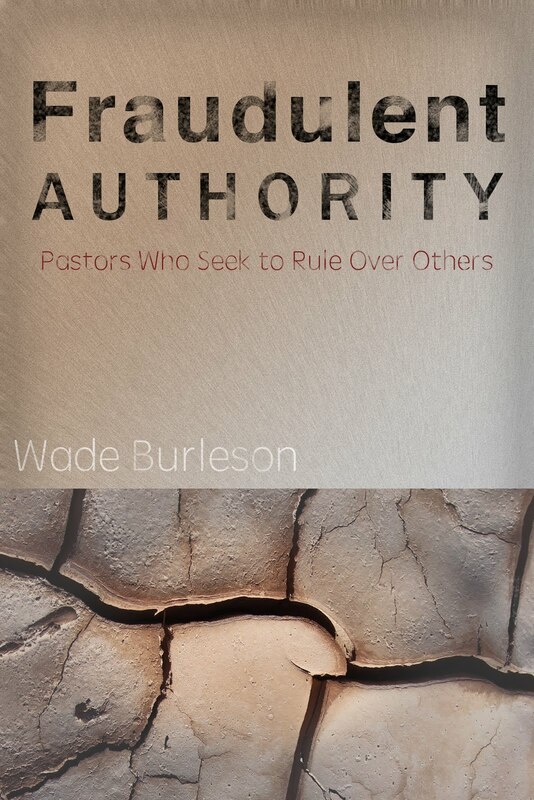 Among the folks calling in was Wade Burleson, who has also become something of a lightning rod for criticism by some Caner's worst enemies: those who are not calling him to public repentance but instead are attacking his critics. You and I must come from different backgrounds on what ‘rededication’ means. It has NOTHING to do with Salvation or the FACT of ‘once saved always saved’. Rededication is a public acknowledgement of a person’s desire to ‘live closer to the Lord’, repentance of sin, or a half a dozen other things they want to straighten out and do better. Asking for prayer is in there also. I don’t believe preachers or speakers try to get kids to question their salvation but try to get them not to put their light under a bushel by living like the world. Hey! I’m questioned about blogging so much when I could be witnessing for Christ. Maybe all us bloggers could do with some rededication. Duh - That left me standing. Jesus saved me when I was ten, but because I didn’t run down the isle whooping and hollering like my dad, I doubted my salvation. Hey! Who was I to argue with the boney finger of senior Bob Jones? My sister had committed the unpardonable sin of writing a letter to the Dean suggesting the University have a Student Counsel to handle discipline problems. Now Wade, this topic is one about which a former prof of mine would say, "You've quit preachin' and gone to meddlin'." You probably have mentioned this in another post, but could you share briefly your conversion experience? Did you walk the aisle of a church and make a public profession of faith? I'm not condemning either way pastors wish to do it, but chances are most everyone reading this and serving as Pastor in Baptist churches made a decision during an altar call. Thanks. Great post, Wade. My church has very few alter calls, but when we do, my prayer is always, "Holy Spirit, quench human emotions, glorify yourself and the Father and Son from whence you have come. Thy will be done this day and the days to come. In the name of Christ my Lord. Amen"
Salvation is only a punctiliar event in so far as it was ordained at a time before the dawn of creation...a time when the Covenant of Grace was sealed for all eternity. No, salvation in this age is revealed, not sealed. The Spirit enlightens the soul to understanding of the Lamb of the Ancient of Days. May we unveil the evils of the Devil's deceit. Man's salvation requirements which are extra-biblical are Satan's tools to bring the weight of sin down against the door of the fold. There is one door. The Christ. And it is wide open to all whom the Father has given Him. He has sealed us till the day of redemption...and forevermore. Blessed be His name, and all who follow after Him. I just listened to Washer's sermon on repentance delivered to youth conference audience. What he taught there is basically the same as some of pastor John Piper's sermons: no works will perish in hell (See my post above). It is the type of teaching that basically says: no fruits no root (no works = no salvation view). I think Washer in this sermon is more radical than pastor Piper. While I cannot say for certain that I have watched or listened to the Washer sermon of which you speak, and having heard and seen many of Paul Washer's sermons, I can tell you unequivocally that he does not credit works of any kind with the efficacious work of salvation. He and Piper do however believe that the Spirit changes and transforms such that fruit WILL, no matter how minuscule from mine and your perspectives, exist. If we are really attached to the Vine, we are continuously fed and cannot help but to "bear" good fruit as a branch. "We" do not "produce" good fruit...we "bear" it because of being fed continuously by the Vine. Many in Christendom spend lots of time explaining away sin as a normal state for Born Again believers but very little time talking about good fruit and how we bear it. I appreciate Washer very much. I feel that many of my brothers and sisters in Christ have forgotten that it was at an "Old Fashion Alter Call" that many came forward to accept Christ. I would also say that many of my Pastor brothers have forgotten that it was at an "Old Fashion Alter Call" that they answered or shared their Call to ministry. *** All I would like to say is lets not mock from which we came...Godly SBC Pastors of old and some even today are preaching their hearts out week after week in small size churches sharing the goods news of Christ! "And before someone picks apart the words small churches...lets not forget the avg. church in America is only 75 members and their Pastors work long hours with little pay to reach the lost!!!" I had the joy of going with my Sr. Adults from church this week to the Billy Graham Library in Charlotte. The whole focus of this ministry is not to give glory to Billy Graham but to share the importance of the old fashion invitation...Calling all sinners come Home!!! I do feel your blog Wade gives a feel of a us vs them....I call you my Brother in Christ and pray for your ministry and your church....no Alter call if thats your churches wishes thats fine...but don't dash the Pastor's who preach weekly for no other reason but to see lives change and sinners walk out changed! I like passionate preaching. That is why I've been listening to John Piper and also several of Paul Washer's (I downloaded their sermons on MP3 to enjoy them). Love to listen to Piper on missions, and other topics; but not on assurance of salvation, because he casts doubts to his audience. Kevin, you are right in reading their theology: no fruits no salvation and/or false profession. So final salvation depends on works--works is inherent, necessary and inevitable for salvation. According to Jonathan Edwards, God has virtually seen works in initial faith, hence He justify. In your words how "minuscule". I believe in Eps2:10 and Jn15 etc. Kevin, can you give me an example of that minuscule work that seals or prove salvation--I appreciate if you can specify what kind or what quantity of work you meant by minuscule? “Paul foresees the possibility that some professing believers in the judgment of charity he calls them brothers, may go to hell… Your works confirm that you are saved.”[Piper, “We Will All Stand Before the Judgment of God (Rom 14:10-13)]”; October 30, 2005. “Getting to heaven in the New Testament involves the use of means . . . . Your perseverance in faith is a means of attaining heaven; it is necessary… Mutual exhortation is a means by which we…help each other persevere to heaven. It is not automatic…”[Piper, “Do Not Destroy the Work of God (Rom 14:14-23)]”; Nov 6, 2005. Of course Paul Washer as well as John Piper sometime preach: Justification by faith alone! But, then, they turn around and say, that faith is not alone--faith & works or faith-works or faith that works. It is both/and. I think they talk contradiction. Like saying: it is free but costly. In one sense: they are talking nonsense in regard to this point. I love to hear John Piper on other topics, but not on the assurance of salvation. I am an editor for Christian.com which is a social network dedicated to the christian community. As I look through your web site I feel a collaboration is at hand. I would be inclined to acknowledge your website offering it to our users as I'm sure our audience would benefit from what your site has to offer. I look forward to your thoughts or questions regarding the matter. Problem I have with Washer is that he puts so much emphasis on external things. In one sermon he calls women who are not dressed 'modestly' wicked. He claims to have the ability to judge a woman's heart by how she dresses. WRONG! HE can not tell the condition of ANYONE'S heart....period, especially based on how one dresses-even if one dresses 'sensual' and who knows Washer's idea of 'sensual?' Pants on women? Washer teaches that you are NOT saved-never were- if you do not 'toe the line' want to see that clearly, look at the vid his mission group put on on facebook/myspace. Just FYI...If you show a little boobage (or abs if you are a guy) in any of your pics you are not saved and never were and are in a bedazzled handbasket to hell. He claims that salvation is not based on works, but you better show fruit....and not that Love,joy,peace......stuff! 'fruit' is following Washer's rules-which are not Biblical in their extremes. Love isn't 1 cor 13...it is tell people they are going to HELL!! Yeah, I have issues with him. I will stand before God one day and I would much rather say things in my defense like "I never passed up someone in need" "I never left someone hurting without comfort" "I did the best of my ability to love those around me and provide for their needs" rather than, "I wore long skirts, never showed cleavage, and threw the TV in the trash." I think the later is what damns people to Hell. Hope that clears up any confusion as to where I stand. I believe in salvation by trusting in God There really is nothing I can do to save me...but plenty to show the love of God to those who are hurting and in need of His gift of life eternal. THAT is how we show we are saved. If you are so dissatisfied with so many things Baptist why don't you leave and become non-denominational? 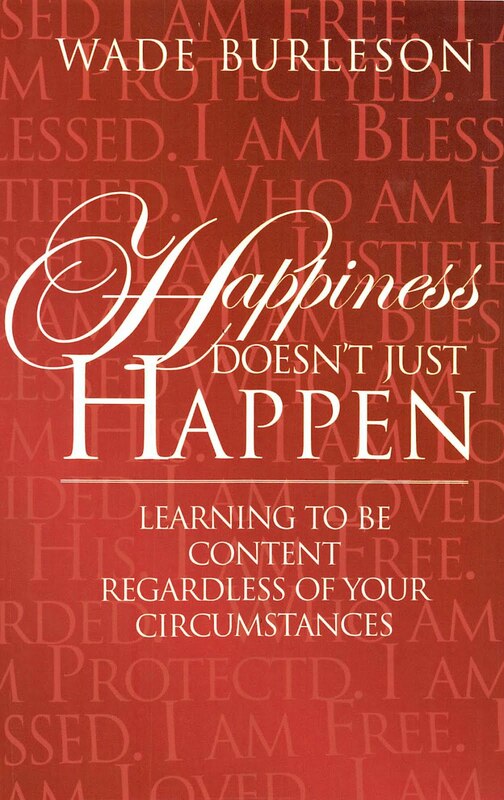 You might be a lot happier and not get worked up so easily. I'm sure you would make a good non-denominationalist. I like your enthusiasm and your passion to minister to others. Keep it up man. But don't ever depend on ANY of your good works for salvation. A question to help clarify this a basic doctrine is: Am I [and you are] saved at the moment when I put my faith in Christ as my Substitute Savior and Lord who rose from the grave, or is it provisionary until the end of my life [your life}--pending an evaluation of our behavior? Are ye saved or you are saved is a periphrastic phrase [combining a participle plus the indicative mood]. Here we have the present active indicative of the verb ARE. Followed by the perfect passive participle SAVED. Both put together is called a perfect periphrastic expression. The perfect tense of SAVED is the intensive perfect which emphasises the permanent ongoing results of a finished action. The passive voice: the believers [ye/you] are the beneficiaries, they receives the action of the verb SAVED. They did not act to contribute to their being SAVED. They were in the passive and were SAVED = ACTED UPON. The experts say this participle indicates the permanence of the periphrastic: ARE SAVED. I just checked the perfect tense of SAVED which emphasizes the COMPLETED SAVING ACT WITH THE STATE OF THE RESULTING SAVED STATUS AS GOING ON FOREVER. Salvation is not probationary or conditional upon our subsequent behavior after faith in Christ; it is unconditionally granted by grace at the moment of faith alone in Christ alone. Fruitfulness and service are not conditions or proofs of salvation. These are not soteriological categories, they are spiritual life categories. Filling with the Holy Spirit (Eps5:18) and walk by the Agency of the Holy Spirit (Gal5:16) in fellowship with God will have spiritual products (Gal5:22-23). Let us not confuse these two categories. Faith alone in Christ alone will get us to heaven! Have a fruitful life will get us blessings here and hereafter. Let us not confused these two categories. "I will stand before God one day and I would much rather say things in my defense like "I never passed up someone in need" "I never left someone hurting without comfort" "I did the best of my ability to love those around me and provide for their needs" rather than, "I wore long skirts, never showed cleavage, and threw the TV in the trash." I think the later is what damns people to Hell." It seems you substituted one set of works for another. James says to look after widow and orphans AND keep yourself unstained from the world. I hope you will rather stand before God one day and hear that your name is written in the Lamb's book of life from the foundation of the world and you are welcomed into Heaven by grace alone through faith alone in Christ alone in spite of the fact that you didn't perfectly do any of the things you listed. I think we do come from two different schools of thought on the whole concept of rededication. Hey, no problems there since it promotes discussion. I just tend to view rededication and keeping track of how many "rededicate" their lives is a dangerous practice. Then again, I also tend to view tracking baptisms by a church as a terrible marker to judge a church as well. In my days as a youth, I rarely bowed my head and watched numerous "evangelists" come through my church and area community and perform alter calls. They'd ask for hands to be raised and would thank numerous people for raising their hands and not one hand would have been raised! Ken Freeman, and others like him, would come in and try to instill two things, 1. they'd try to instill a spirit of disregard for rules and decorum on how you treat your neighbor "Get in their face!" he'd shout and 2. he'd instill a spirit of uncertainty amongst many youth which would takes weeks and months to sort out by the pastors in the area. To me, all this did was set our church community back weeks, months, if not years. You then have programs like Judgment House and Heaven's Gates, Hell's Flames which are nothing more than religious versions of the show scare tactics. You want a good, credible reason as to why our church rolls are so inflated, I present this as exhibit A. I can't tell you how many hundreds of people I've seen come in, sign a card, say a prayer, and then disappear. Gone. Never see them again. But hey, we got a bunch of cards signed and a bunch of rededications. I remember my pastor when I was in high school proclaiming that we had over a thousand rededications and yet our congregation never grew. So yes, Res, I think we come from two different schools of thought and that's okay. God Bless. In a new pastoral pastoral situation I determined to speak to every member regarding their confidence of being a member of God's family. About 75% of them said their confidence was in the fact that they had responded to an invitation, or "made a decision". One day, a deacon and the church secretary for 26 years, came to me in my study, and with tears streaming down his face revealed that he had, on the previous Sunday, realized he had only then seen that his intellectual acceptance of the truth about salvation by grace had to be accompanied by something over which he had no control. His life thereafter, and function in the church, revealed a very changed man. In fifty years I never gave altar calls, but our gracious Father brought many precious people into His Family. I don't suppose there's anything wrong with the "invitation" or "altar call", but the most important part is what happens when they get down front, and thereafter. What they're told is expected of them. What faith means. Clarification of the only real reason to walk the aisle (usually). Discipleship, in other words. If that's done after the walk down the aisle, then fine. But it's woefully obvious that it's the exception, rather than the rule; 16+ million members and 5 million +/- actually attending ought to be pretty good evidence of that. Powerful testimonies from your members would be a testimony to their having been discipled, which as it happens is the Great Commission, anyway. Thank you for you thoughts. I too love the powerful preaching of Piper and Washer...though I must admit, sometimes their preaching irritates my flesh...a good thing maybe? When I refer to minuscule works I mean works that seem insignificant to you and I and works which do not excite a Christian critical mass. Now that begs the question: who determines what is a significant work and what is not? Obviously you can see that it is not man who judges the value of human works. God and God alone knows and sets the value of the good works of His children. The problem here as I see it Richard is that the church is full of isle walkers who are dead, and content in their sin--no more saved than the man in the moon. They have no "passion for the glory of God." They live in a self-righteous "my baptism entitles me to..." world. "Faith without works is dead." In other words, one without faith cannot produce good fruit. But one who is transformed by the blood WILL. Human works are one of the results of the efficacy of the blood. Works do not assist the blood. Finally, if we must insist on monitoring the works of believers while they are still alive then we must be sensible and look at the sum total of the good and bad works of their life relative to the point at which the Spirit opened the eyes of their heart. Sound crazy? Of course...but maybe, just maybe we each ought to take account of our own life relative to the Covenant of Grace and our commitment to Christ. "If you love me, you will...," Jesus said. The purpose of Piper and Washer's sermons are to exhort people to do just that. That's great Wade but there are churches giving altar calls that have had hundreds of conversons in the last five years. Isn't this more of an issue of personal preference? I need exhortations that is why I listen to many of John Piper's sermons and several of Paul Washer's. My concern of some of Piper's messages (and some pastors are using the same method also) is the use of doubting one's salvation as the motivation to holiness and service. Piper responded: “I know people, and I would say this about myself, for whom the greatest threat to my perseverance and my ultimate salvation is the slowness of my sanctification. It’s not theoretical questions like ‘Did He rise from the dead?’ or the problem of evil. I’ve got answers. But why I sin against my wife the same at age 62 that I did at age 42 causes me sometimes to doubt my salvation or the power of the Holy Spirit… This question is not theoretical.” John Piper, “Why God is Not a Megalomaniac in Demanding to be Worshipped” 60th Annual Meeting of the Evangelical Theological Society. Recording available through ACTS Conference Products, # EV08487 (www.actsconferenceproducts.com). I think this struggle is deep and genuine--it is a by-product of his theology of perseverance in holiness or hell (another form of Arminianism). I am not trading one set of works for another...I am trading what is UNBIBLICAL for what is crystal clear in the Bible. Now, I may be in error, (I googled and nothing else came up)...but the only time that the Bible calls someone a goat, and sends them to eternal fire is when they don't (in short) see to the needs of others. or use the 'right' sources of media" and so on, to be saved....nothing-yet this is what Washer teaches to the EXCLUSION of loving others. Bring that up and they will cry 'works'- but the irony is that they are far more legalistic and works based than the one who gives a few dollars to the man on a street corner or takes a sack of groceries to a neighbor that just lost their job. Watch the vids again with a critical ear. He teaches that if you don't follow his idea of 'godly' then you are not saved and never were. How is that Biblical? Never mind the whole line of "if you have a problem with I say then your problem is with God not me" Seriously, how arrogant---and along with a few verses that in no way back him up---a way to keep people from questioning him. I am likely not expressing myself very well here.....I am basically trying to say that love is our most ultimate and highest calling as Christians. People ignore that in favor of being downright hateful (can we say how many react towards the gay community?) and by following extreme legalism with man made rules. We were not set free from the laws of sin and death only to be chained to the life sucking tyranny of religion. Christ has set us free, indeed! I appreciate your passion to love people. It is a cardinal doctrine--a primary doctrine taught by our Lord (Jn13ff)seen less today (especially in the Ergun Caner's case). Just want to clarify: regarding the Lord will ask you when face to face with Him at the eschaton--is it the White Throne Judgment in Revelation 20:11-15 or the Judgment Seat of Christ: for reward in 1Cor 3:11-15? You are not talking about love others in order to be saved at the end do you? Asking because I believe all our sins have been paid for (judged) at the cross (1Jn2:2; Jn3:15-18). For a believer meeting the Lord at the eshaton will not be for salvation, but for rewards. If you see my posts above--John Piper takes a salvation view at the judgment day. As I see it: if we wait to the end of our perseverance in order to be finally saved, then it is by faith and works! No matter how we slice it such a view is salvation by works such as the one Luther was against in relation to Romanism. I hope with all the sanctification preaching and passionate mission and loving people enterprises we do not cloud the biblical (Reformation) doctrine of salvation by faith alone in Christ alone! In this respect I am afraid every Sunday invitation and altar call could have a negative effect. Perhaps "altar" calls are debatable, perhaps not. But what all our churches need are "alter" calls. Richard, you asked...You are not talking about love others in order to be saved at the end do you? No. I am referring to this as Godly living. I do not believe that one must follow man made extremes of rules to live in a Godly manner....I do believe that love is THE most essential part of Godly living, though. Without love everything we try to do is worthless (per 1 Corinthians 13) and,no, telling people they are going to burn in hell for all eternity if they do not toe some unbiblical line is not 'in love' as some like to claim. "Martyrs were Confessors of the Faith — Christians who "confessed" Christ before men at the cost of their lives — hence the name confessio was applied to their last resting-place, when, as happened frequently from the fourth century, an altar was erected over it. Up to the seventh century in Rome, as we learn from a letter of St. Gregory the Great to the Empress Constantia, a strong sentiment against disturbing the bodies of the martyrs prevailed. This fact accounts for the erection of the early Roman basilicas, no matter what the obstacles encountered, over the tombs of martyrs; the church was brought to the martyr, not the martyr to the church. The altar in such cases was placed above the tomb with which it was brought into the closest relation possible. " I knew that Churches were built over the sites of martyrs deaths and burial places, but until I read this, I did not realize that 'instead of bringing the martyr's remains to a Church, they built the Church over the remains, so as not to disturb the resting place of the martyrs, who had died because 'they confessed Christ'. A strange connection . . .
in ancient days, many who 'confessed Christ' did so at the cost of their lives, and were honored by having a Church with its altar built over their resting place.